If there is one thing constant in most malls, itâ€™s a toy store. Whatâ€™s a mall without a toy store after all? If you are planning on setting up your own toy store, it is essential to keep bringing out that child in you â€“ literally. Keeping abreast with the times, with what children from all ages are â€œintoâ€� at the moment can help keep your store going. And definitely, like fashion, there are toy fads that come and go â€“ but then, there are the â€œstaples:â€� toys that are always in demand season after season. What are â€œstapleâ€� toys? Pull-toys are a good example, as with dolls, dinosaur models and pool toys and accessories, to name a few. Nonetheless, there are specialty toys shops that are calling out unto their own set of patrons. Carved wooden toy shop is a good example of a specialty store, as well as model building shops and Christmas stores. Some specialty shops, rather than focusing on a specific type of toy, cater to a specific group age of children like the Early Leaning Centre. With some other toy stores, there objective is to be a selling arena for toys that only its mother company makes like the Fisher-Price Store. So perhaps, the primary thing you should consider when setting up your own toy store is what kind of toy store you would want. Specialty stores thrive because of the tough competition among the more conventional toy stores â€“ this competition keeps toy prices low, toy fads ever changing, and advertising gimmicks evolving. So unless you are particularly skilled in marketing and promoting your toy store you will have your hands (and finances) tied against still competition. Now that you have chosen what you would want to sell, next objective is to find a toy supplier for your store. If you like to do like the Fisher-Price store, and sell toys that are of your (or your companyâ€™s making,) you have to remember that toy production is a more complex, more time consuming operation than simply selling the toys. You can however, turn this to your advantage. There are toy stores online who does (16th century replica house) model building, and each order entails a waiting period of 1 to 2 months before completion and delivery. This type of business scheme entails the customer to pay beforehand, and then wait for a certain (agreed) time before the actual merchandise delivery. You could do that, provided of course, that your â€œgoodsâ€� are good enough to find a market of its own. If, on the other hand, you find this to tedious, you need to find yourself a toy supplier. Retailers can give you great discounts if you order by bulk. The trick here is to know what the kids want at the moment. It would not be wise to, shall we say, place all your eggs in one basket. 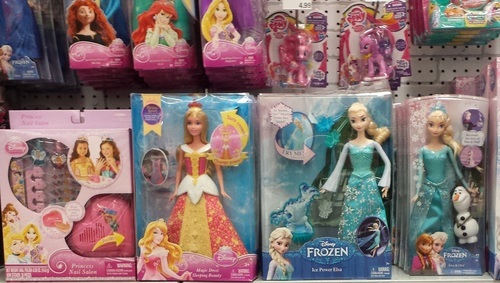 Retailers, no matter how great, cannot have every popular toy in the warehouses. In one season, it may be dinosaur scale models; in another season, it may be action figures from a recently released movie; in another season, (particularly, if it falls under a specific world holiday) it may be kidsâ€™ costumes and accessories.) You need to know where to find new blood once in a while â€“ at the same time, keep a healthy working relationship with trusted suppliers. I have the same dream only my problem is in not knowing how the whole resale thing works. What if there is a specific toy company that I like and would like to purchase and resell their toys? Do I purchase at a whole sale cost? I've never worked in retail and have no friends or relatives to go to for advice. In answer to your question, I would go to the U.S. Small Business Association and apply for a small business loan or grant. I believe that if your business is at least 51% woman owned then you may qualify as a minority status. Don't quote me on that, but definitely check out the Small Business Administration as a resource and good luck! Thanks Rhonda. I'll definitely check it out. Buying at wholesale would really depend on the amount of that certain product you feel you can move through your store. Keep posting and keep me updated on your dream! Good luck girl! Hi there, I am very interested in opening my own toy store in Athens, Greece in the autumn of 2010. Can anyone provide me with some typical financial data, particularly profit margins? Thanks in advance. Lakis A.
I would like to open an exclusive toys shop in Thrissur town, Kerala state. good educational/fun/and safe and durable toys for all ages of children focusing customers from average and above middle class families. ( I mean not the cheap plastic toys)pl give possible advices. hello, i'm sangay wangmo from bhutan and m planning up to start toys business in my country, so could u please help me how to start it up initially. i want to start my toy business from kolkata,(W.B) india. From where i can get toys at low rate. should i get it from china. how can i get it from there. how much money will be required. i want to make this business a success. I would like to start a toy and learning store in Kenya, Nairobi. Where can I get a supplier for learning toys and books? Hi everyone, I want to start my toy business here in Hanoi, Vietnam, because I want to bring good quality toys to the kids here, as I always bought toys for my kids when I came to Japan or US. The most difficult point, I think, is finding providers/ manufacturers. Please help advice. Long. I want to start a toy business in Bangalore, Karnataka India . My plan is to sell cheap toys which are mostly electronic . i want to start a toy shop here in my town but i don't know how to market it. i want to start my own toy and gift shop in my town but i dont know how to make project report for submit in bank for business formalities please help me i find quotation from wholesalers but only i dont know about project help on my mail please within two days!!!!!!!! As everyone here, I too share the same passion for toys. I am interested in starting up an ecommerce website for the sale of these items. I am familiar with the business aspect, however I am having a difficult time finding suppliers. I should mention that I am interested in selling vintage action figures such as He-Man and Teenage Mutant Ninja Turtles. I am located in El Paso, TX USA. Any insight or direction would be greatly appreciated. hi, I'm trying to open an adult toy shop in Portland or. I am having a problem for forecasting my start up cost. I am also having a hard time find out how much stores like this make a year so I can say this is a profitable business. i'm looking to open me own adult toy store . in ga. what is the start up cost and where do i find the toys? Hi i want to start my toys store in jamaica and am having a hard time finding a supplier can someone point me to that direction? Hi! i've been trying to decide if I want to put up a toy store in the Philippines. I was thinking of collectible toy line such as Marvel, DC, Starwars, and Transformers. Could anyone send me some financial data or how the toy business works? Id love to also find places to get these toys cheap. Most toys above are done by Hasbro. We own a toy store for a year now and can tell those of you who are looking for answers that the cost of opening is tremendous. at least 100,000 US$ . This includes shelves, flooring, registers, security, phones, banking, and of course product. There are hundreds of wholesale suppliers, and mark up is anywhere from 30 to 100 percent. Most of the items you find in the big box stores are 30 percent or less. some of the larger manufacturers (hasbro, mattel and others) require large minimum purchases per year to get their product. you will more than likely not see a profit for about 3 years at least, so be prepared for this. hi i am kinley from bhutan,i want to open a toy shop here and i would like to open metal toys store especially, could you please help me with this. Please help me ,I want to open a toy store in India. I'd like to start a toy store focusing mainly on entertainment and educational toys. Could you please help me with business plan and locate me with suppliers? I'm in South Africa,Eastern Cape, Mthatha and my name is Siyakubonga. Hi, i want to start my own toy manufacturing company. i am from bangalore, india. Pls let me know whatever info u can provide to help with the same. sir, i awant to open a toy store,only for the age group of 2years to 12 years..and also want to create an environment there where they can learn also...but i dont know the estimate budget and supplier and also about the starup cost...pls help me and assistme. Hi, I want to open a kids store in Belgium. Toys, decoration, accessorizes in a hip and trendy neighborhood. I know what products I want to sell and researched their distributors for my country. Now my question is: how do I get prices/information about profit margins, minimum purchase amount, without having my own company (btw number) yet? Also how do I negotiate with brands, distributors....I am stuck here, thanks for help!!! hey Vijay can you help me and send me some more details about where can i find supplier for toys. I am planning to start a toy store in bangalore. i am having difficulties sourcing out suppliers. so please help. Hi, I am planning to start a toy store in Egypt. i am having difficulties sourcing out suppliers. so please help. Hi, I am planning to start a toy shop in kerala, which includes kids furniture and outdoor toys too. i dont have any experience in this business. May i know who are suppliers for quality durable childrens toys. your help highly appreciated. I'm interested in starting the same business, but with a twist. I wanna the headquarters to be in Jamaica, and then venture to other places. I have no capital, or anything of that sort, I cant even decide on a name! Can you please help? I don't know where to start. Please help! Hello, i'm planning to start a toy shopping Bahrain. 1- I need to know where i can find out suppliers. 4- i need a good quality of toys. 5- i need to open new corner related to hobbies toy. Thank you waiting for your kind reply. 2- What kind of budget do i prepare. hi, my self sanjay, i am planing to start my toys store in one year, place mumbai plz help me to get complete knowledge of toy industries. how much investment required to start business. toy shop for all age group send all possible info plz..
1- I need to know where i can find 100% Japanese toy suppliers. 4- i need to open new corner related to hobbies toy. Thank you very much, also waiting for your kind reply. hi, i am from mumbai. i have to start a toy business how much capital is required and what are the expenses of toys in store. Hi, me and my friend is planning to set up a toy shop at Calicut, India . We have found some providers from china. But i am not sure about the quality and durability. So I request you all to provide necessary details regarding investment needed and the profit margin that can be achieved. Please help. Hi, I'm looking to start up a toy store in Richmond Ky, but need to come up with a budget. Such as how to get my toys, how much will that cost? Electric, water, employee wages. Where can I find help to these ? Hi everyone, I am working in a Toys store in Kuwait. I am from Kerala india. I have some ideas and Supplier details, but those who like to be my partner please mail me. Hopefully we can do a real good business in Kerala. This is the right time to start a new venture. edwinjbethune@gmail.com. hello this is to present my interest towards Toy Business in my location. regarding which i would like to know about the initial costs, other expenses, and overall details about the suppliers i could get to start my business. i'm residing at THRISSUR (KERALA) and looking for a commercial place too. kindly help with the details as soon as possible. Hi, I reside in New Delhi, India. I am interested in toys business, would like to start a retail shop or to sell online. I do not any idea how to do that. Can anybody help me where to these toys and how to sell them for a better profit margin? Thanks. Hi, I reside in New Delhi, India. I am interested in toy business, would like to start a retail shop or to sell it online. I do not have any idea how to do that. Can anybody help me where to buy these toys and how to sell them for a better profit margin? Thanks. Hi Abhijit,I am looking for opening a store in Hyderabad,Please share some details, i am mailing you my contact details and store address soon.rohit. Hello Everyone, Anyone interested to open toys store kindly contact me on a.kolhatkar@simbatoys-me.com or call on 09769450106. Simba Toys India Pvt Ltd ( worlds 3rd largest Toys Manufacturer) are expanding their store base and looking out for the right franchisee partner across India. Regards. I want to start a small toys & gift store in delhi aya nagar. In this area middle and lower middle class people lives. Please help me to start this. I from pune want to open toy shop pls send me list of wholesalers from where I get toys with low cost but good quality.